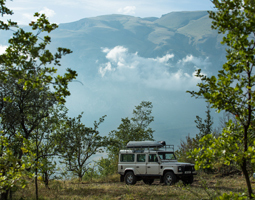 Heartland is our campground in the wild mountains of Abruzzo, Central Italy, on the doorstep of the majestic Majella massif. 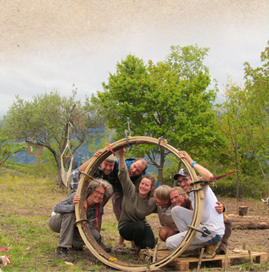 For the last 20 years we have had the fortune to be part of a group consciousness process and have found the place to ground this work and are now in the process of building a campground on this magical land in the heart of Italy. 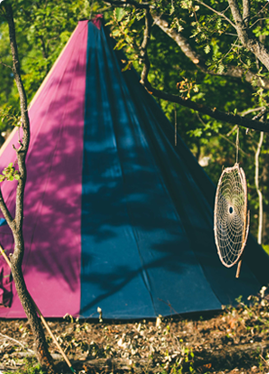 Having worked in the Glamping industry in the UK for many years, we visioned our place would be a new sort of campsite experience, one which has the group experience at its core. 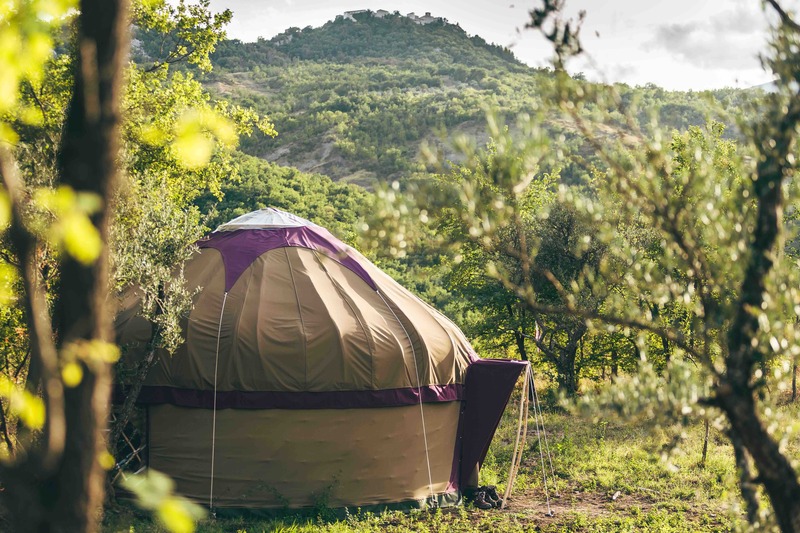 Abruzzo welcomed us into her heart and we saw that we could make a difference to the region's growing depopulation and abandonment of rural mountain villages, by focusing on sustainable tourism using the Glamping concept. We set up the Heartland Association with the aims of implementing sustainable redevelopment of the area through slow tourism and organic farming. 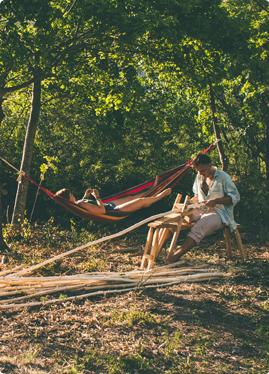 Heartland thus became a hub for a Glamping Revolution in Central Italy, alongside being a campground which allows visitors to do more than just camp in nature, but to discover the core of being part of a greater whole. "A dream that was there right from the start. Heartland - the Land of the Heart." If you are silent enough, within and without, deer are almost a daily sight, the grunts and stampedes of wild boar at night are a regular sound. There is also the legendary Marsican brown bear, of which there are only 30-40 in existence who supposedly populate the Abruzzo National Park further North, but who knows..? Wolves have been spotted in the villages around, and of course there are wolves here too. 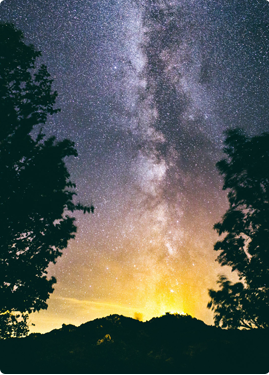 There is a wide range of the insect tribes and if you’re here in summer there are clouds of butterflies by day and nightly beacons of fireflies like many dancing stars. A magical place full of diversity. 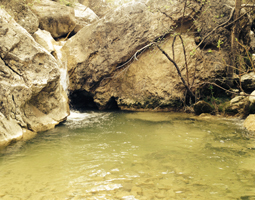 In 15 minutes drive you can be at the start of the ancient tracks of the Maiella Massif, 45 minutes and you can be at the seaside on the Adriatic coast. 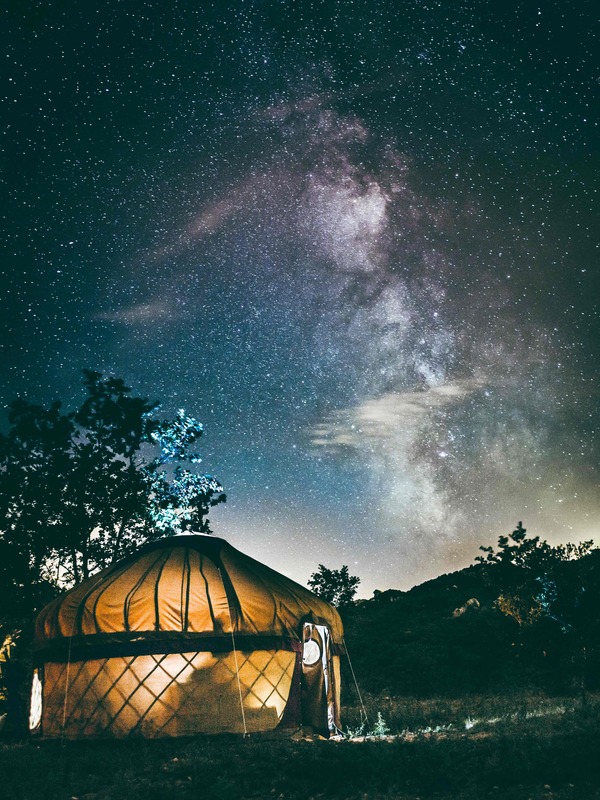 In this place of power, Heartland is growing, with The Zodiac Tent as a lighthouse in the centre of the land, an amplifier for a special state of awareness sending an invitation to come home. Come and take part in one of our magical events. 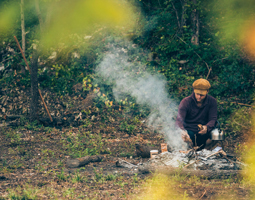 Those usually take place over a week and are designed to help us all reconnect to the group tribal core, and enjoy the freedom of the wilds.